Laminate porcelain veneers also called lumineers or dental porcelain laminates, are thin shells of porcelain that cover just the visible portion of your teeth. The porcelain is extremely hard and durable, as well as, resistant to staining. 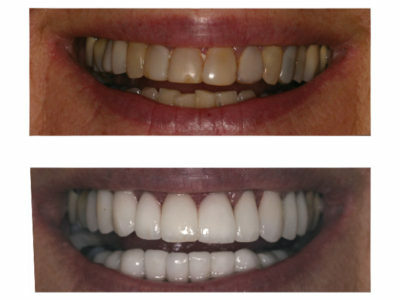 Porcelain veneers can fix most cosmetic problems and completely transform a smile in just two appointments. They are similar in size and appearance to artificial fingernails. 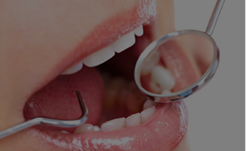 They are bonded to the natural surface of the tooth to improve its appearance. Dr. Markowitz routinely uses porcelain veneers as a means to make cosmetic changes for teeth that are discolored, worn, chipped or misaligned. 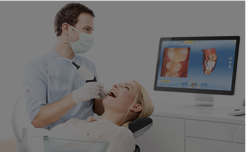 Dr. Markowitz prides himself in sculpting the most beautiful teeth in Boca Raton. Having taken high-level courses from the Rosenthal Institute, Dr. Markowitz has perfected his technique over the last twenty years. He understands that every smile is unique. His work takes into account every patient’s precise anatomical features and character, yielding the beautiful smiles his patients want. 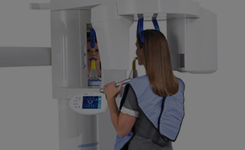 Dr. Markowitz uses the best dental laboratories in the United States, chosen for their high degree of precision, aesthetic attention and high-quality materials. 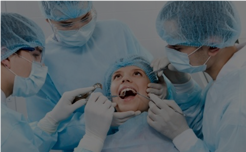 The results of his work are natural-looking, beautiful teeth that his patients proudly show with every smile without compromise. Veneers are one of Dr. Markowitz’s favorite procedures because of how rewarding it is to see how pleased his patients are and their emotional response to discovering the magic in their new smile. Am I a candidate for porcelain veneeers? If you have a severe case of dull or discolored teeth, mild chipping, cracking, spacing or uneven teeth, dental veneers may be the solution. Veneers have the benefits of longevity and a proven ability to enhance the appearance of the mouth and smile. Veneers can make you look years younger. If your teeth are dull from smoking, caffeine or aging, veneers can change make a difference in the entire appearance of your face! In addition to being esthetically pleasing, dental veneers can also serve a functional purpose by protecting the surface of a damaged tooth. 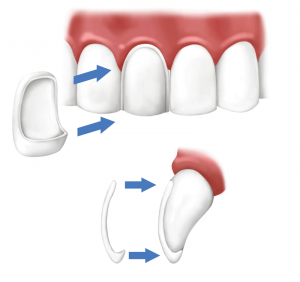 Because veneers are so thin, they might require little-to-no tooth reshaping when bonded onto the tooth.